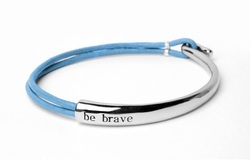 Buy a Bravelet and support Embody Carolina! Support our cause and purchase a bracelet, necklace, or ring from Bravelets! 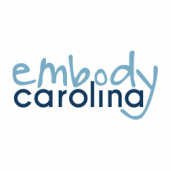 Order from Embody Carolina's site so that we can continue to increase eating disorder awareness and help make UNC a supportive and positive environment for those suffering from eating disorders. $10 from each product will be donated to Embody Carolina. Buy an ethically made Embody T! If at all possible, we would greatly appreciate payment in cash or check at the time of transaction. Please fill out the form below to arrange the size and pickup of a shirt. If this is not possible, you can purchase the shirt using the button below and we will contact you regarding the cost of shipping. Thank you! We will be in contact with you shortly to confirm your order and arrange pickup/shipping. Your donations help make Embody Carolina Trainings possible. We have a tight budget y'all. We really appreciate you, please provide a "shipping" address at checkout so we can send you a thank you note!